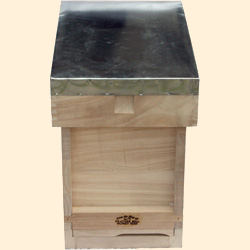 Our 6 Frame Hives have all the same features and specifications as a full size National bee hive. 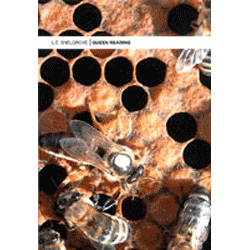 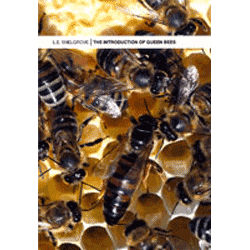 They can be used as nucleus hives during the summer and for overwintering nucleus colonies. 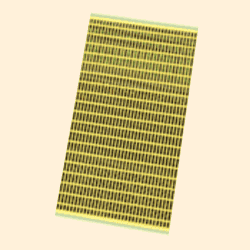 They can also be built up into a full colony. 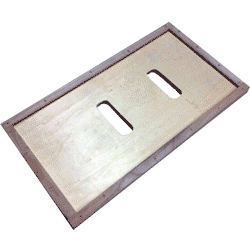 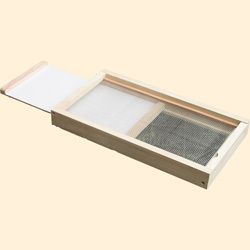 This provides an alternative way of keeping bees, ideal for those avoiding excessive weight lifting. 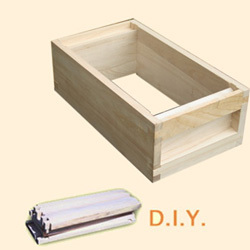 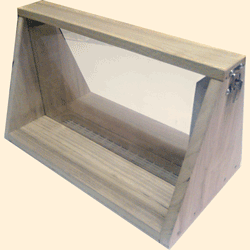 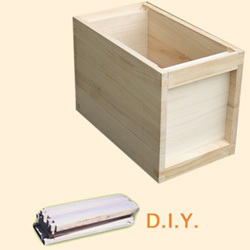 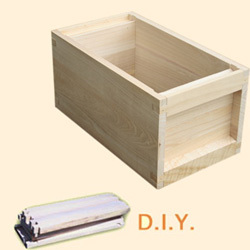 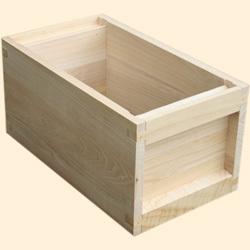 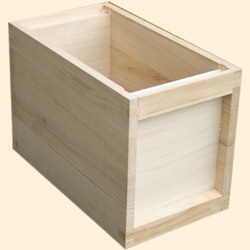 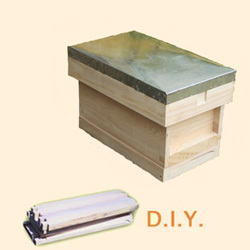 British National 6 Frame Bee Hive Standard Deep brood box. 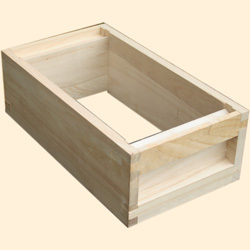 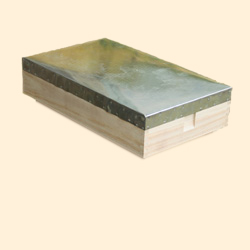 British National 6 Frame Hive Standard Shallow super box. 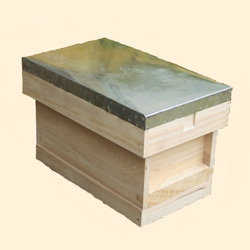 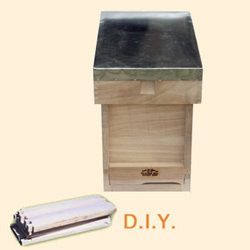 British National 6 Frame Hive with Jumbo 14x12 Brood box. 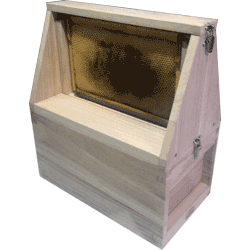 British National 6 Frame Bee Hive with Extra Deep, Jumbo 14x12 box.